Remember my article on The Players I Would Buy If I Was Wenger, well I decided to give a more in depth report on each one of the players to give a better idea and view on each of my suggested targets. This is the first player that I will make an in-depth report on, this player is the player I believe will be perfect for the Gunners ( or for any other team for that matter) and despite the difficulty, there is a chance of acquiring of him, a slight one, but still a chance. The player that I'm talking about is Juventus hardman and Italian international, Giorgio Chiellini. 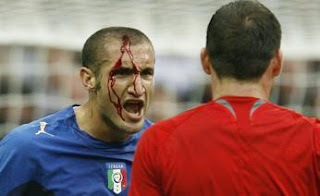 Giorgio Chiellini was born in Pisa, Italy on August 14, 1984. Chiellini started out his career at the age of 6 as a footballer with Livorno as a midfielder, but eventually and slowly, made the transition to become a tough defender. Girogio Chiellini, in which he made the transition to become a reliable left back made over 57 appearances with the club, scoring 4 goals from 2000-2004. Chiellini had an interesting 4 years with Livorno, as he was actually sold in 2002 to AS Roma in an exchange deal involving current AC Milan number 2 custodian Marco Amelia. For some reason, AS Roma never gave him his chance and sent him back to Livorno for the next two seasons, where he improved his game to another level and was bought back by Livorno in the summer of 2004, where he was sold to Juventus that summer. In that summer, Juventus sold him to Fiorentina in a co-ownership deal, where he had an excellent first season in Serie A, making 42 appearances and scoring 3 goals. Juventus bought him, getting full ownership the next season, where he led Juventus to the later-stripped Scudetto. Chiellini, displaying his loyalty to the team, decided to stay with the club despite their demotion, where he became an important member and key player for the team, making 35 appearances and scoring 4 goals. In the next season following promotion back to Serie A, then coach Claudio Ranieri, converted Chiellini into a central defender, due to injuries to the club's main central defenders. Chiellini starred in that position and was voted as the Serie A's best central defender that season, with his "man of the match" performance against Inter and in particular, Zlatan Ibrahimovic, a memorable highlight. Chiellini, has gone strength to strength, and is now considered one of the best defenders in the world, one of the finest defenders to emerge from Italy in recent times and is a regular Italian international. This season, Chiellini has made 40 appearances in all competitions, scoring 4 goals and making one assist. From these ratings, it looks like Chiellini is almost the perfect defender, but that's because he is, he is a top class defender and there is only one who is slightly better than him at the moment, and that is the faster and technically better Thiago Silva of AC Milan. Chiellini lacks a bit technically, but that doesn't matter in my opinion, he's a top class defender and a beast of a player, who's reliable and will give everything to win, which the Gunners need. According to transfermarkt.co.uk, Chiellini is valued at around 24.6 million pounds, but I believe that he can bought at an amount less than that, especially with Juventus's recent failures and reported financial problems. He can probably be bought at around 20 million pounds in my opinion. Where we would he fit in at Arsenal? Many have asked me this question, since our best defender, Thomas Vermaelen, is also left-footed. I am going to make a suggestion which might surprise and probably anger you, but why not place Chiellini alongside Laurent Koscielny. Koscielny is one of the most technically gifted defenders I've seen in a long time, and his performance against Barcelona in the 1st leg and in particular against Lionel Messi, is one of the best defensive displays I've seen. Kosicelny, with his excellent technical ability, along with Chiellini's physical capabilities,toughness, and aggression; an excellent defensive partnership can be formed, it'll be like Beauty (Koscielny) and the Beast (Chiellini). Again, this is just a suggestion. Is there really a chance of Arsenal acquiring Giorgio Chiellini? Well, there is a chance, but it is going to be difficult. Chiellini is a devoted and loyal player to Juventus and has stated that many times, as well as being a huge fan-favorite. Chiellini though, in my opinion, is a winner and with the recent failures of Juventus, he might consider an offer especially with rumors and reports stating, that Juventus are not in the best financial situation and might be forced to sell a star asset, so if Arsenal give them a tempting offer, Chiellini might be forced to leave. This is the best time, in my opinion, for Wenger and Arsenal to give it a go because Juventus will come back and return to their former, successful ways sooner rather than later. Arsenal will not have a better chance. Also, Chiellini already has a bit of history with a current Gunner, remember when he infamously seriously injured Robin Van Persie, in a friendly between Holland and Italy on November 14, 2009 which cost Van Persie his season. Let's hope, if Chiellini were to come, that they kiss and make up. What do you think? Do you want to see Chiellini in an Arsenal shirt? Is there a chance of acquiring him? Please share your opinions and thoughts. P.S. My next report will be on Bordeaux skipper Alou Diarra and also if you would like for me to do an in depth analysis of another player of your choice, please don't hesitate to ask. This has been quite a day of interesting day of transfer news, gossip and speculation surrounding the Gunners. Without further ado, here is the recap or roundup of today's headlines. 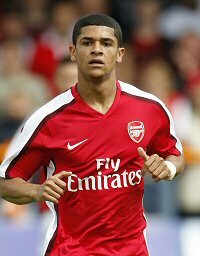 Great news in my opinion, as according to the Daily Mail, Spanish side Sevilla, have offered the wantaway Brazilian midfielder, a route out of Arsenal. Sevilla are willing to pay the Gunners around 8 million pounds to acquire the Brazilian. Yes, you heard me, 8 MILLION POUNDS!!!!!!!!! The offer, in my opinion, is way above his valuation which in my opinion is around 5 million pounds or less. 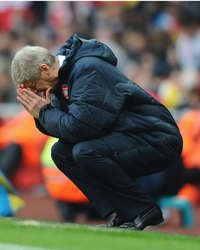 So I suggest to Wenger...... TAKE THE MONEY AND RUN!!!!!! 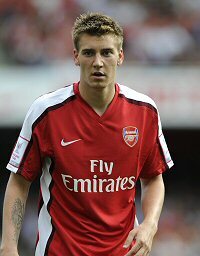 Nicklas Bendtner's agent and father, Thomas Bendtner, has valued his wantaway son, at around 9.6 million pounds or 11 million euros. Bendtner is set to leave this summer, but it will all depend on whether clubs interested in him will pay the amount. I believe Bendtner is slightly overvalued at that price, I believe he's in the 7-8.5 million pound range, but that's just my opinion. Bendtner has quite a lot of interest from the likes of Lazio, Fulham, even Bayern Munich, so I think he'll find a way out this summer. Yeah, here we go again. 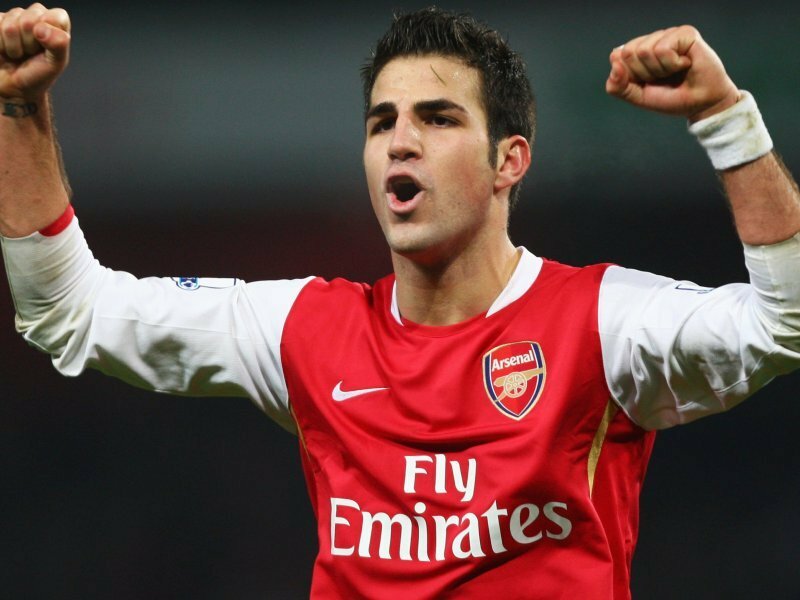 Many reports are stating that Barcelona are going to launch a 30 million pound offer for Gunners skipper and playmaker, Cesc Fabregas. In my opinion, that is a low offer and will definitely get rejected, I don't think that Wenger is keen on selling him and if he is, the offer should be closer to 50 million pounds..... joke of an offer. Well, this isn't good news at all, as Wenger confirmed that contract talks with Samir Nasri have stalled, due to differences in wages. A report by Goal.com, states that Nasri wants the same salary as Cesc Fabregas, which is around 110,000 pounds per week. I believe that Nasri's demands aren't justified, despite his excellent performances this season. Yes, he deserves a pay rise, but not the same amount as Fabregas. Fabregas has been consistently excellent for the past 6-7 years, while Nasri has finally performed this year. 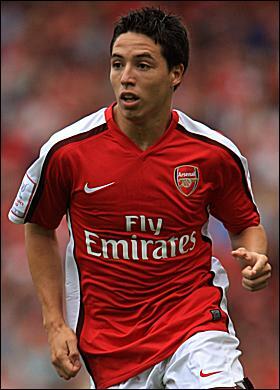 If Nasri and Arsenal, don't agree on a new contract, then just sell him before the new season begins. This is an update provided by Radamel Falcao himself, who's gaining huge interest from the Gunners and Tottenham. 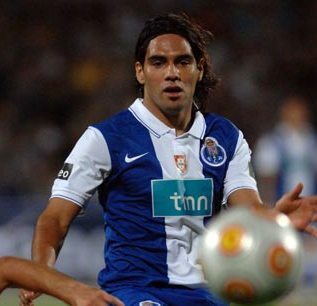 Falcao states that he is "calm" about the situation and that Porto are looking to renew his contract. He also states that he does "not know if it's his time to leave to another championship". Not a really positive update, but nonetheless an update. This news comes from the ever-reliable, We Are the North Bank, who first reported on the Gunners re-opening talks with the talented English winger/midfielder. Mark Chamberlain, his father, stated that his son wants" to get to Arsenal as soon as possible and continue his development...." I expect this transfer to happen sooner rather than later, as clearly, Wenger is really serious about signing him. This is the surprising and biggest news of the day, as there are reports coming out of Italy, suggesting that Arsenal are interested in signing Cameroonian international and Inter Milan star and legend, Samuel Eto'o. Eto'o, as the article states will act as a replacement for wantaway striker, Nicklas Bendtner. 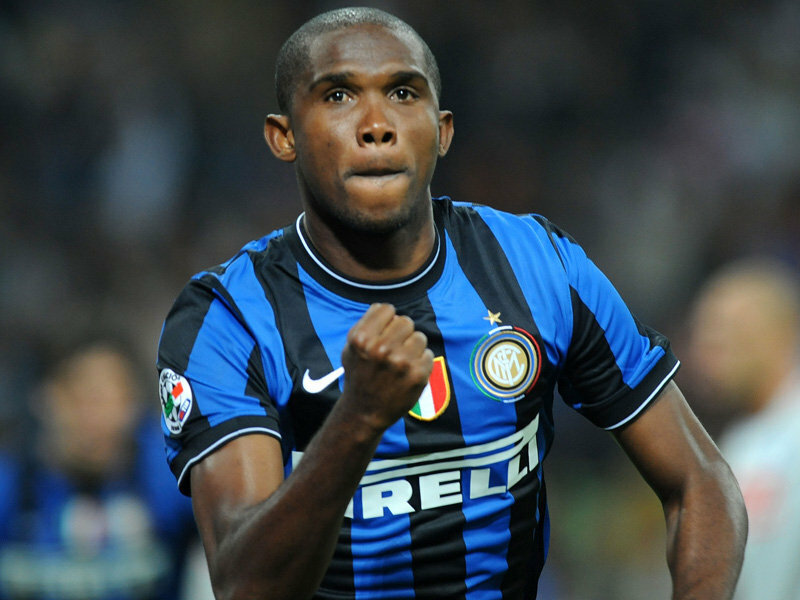 I don't believe that this transfer will take place, as Eto'o is highly valued and important to Inter Milan and the story just seems like pure gossip to me, but if it does happen.... Eto'o will be one hell of a signing. What do you think? What are your opinions on the Bendtner, Denilson, Fabregas, and Nasri situations? Do you want to see either Falcao or Eto'o as a Gunner? 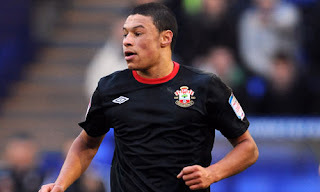 What is your opinion on Wenger signing a third youngster in the form of Alex Oxlade-Chamberlain? Please share your thoughts and opinions.